January 2017, Bengaluru: From the beginning of time, one of the everlasting truths that has persisted is that oil and water will never mix. But as the hydrolipidic film of the skin, the genius of the nature succeeds in artistically reconciling this seemingly incompatible pair at your skin’s surface, retaining moisture. However, stressed by daily aggressors, the hydrolipidic film is weakened. Whether you are indoor or outdoor there are a lot of unavoidable external menaces that impact your skin. Erratic lifestyles, busy schedules, pollution, harmful UV rays and alcohol consumption have become a part of our daily routine, depleting the skin of vital lipids. With a weakened Hydrolipidic film, the skin is unable to hold its essential water. Thus, your skin becomes dry, dull, and devoid of radiance. To restore your skin, retaining the harmony of oil and water in your skin and creating an unbreakable barrier is important. 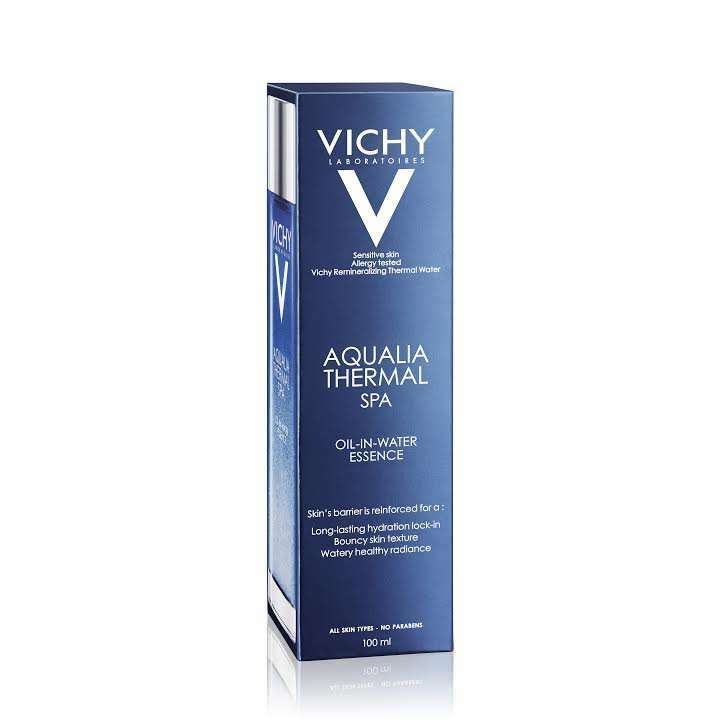 Rediscover the natural order of your skin, with Vichy’s Aqualia Thermal Spa Oil in Water Essence. Steeped with research and innovation, the French dermocosmetic brand Vichy introduces the oil-in-water essence that channels all the power of nature to emulate and re-construct the skin barrier. This natural elixir has a unique formulation which combines the power of oil and water to replicate the skins protective layer of hydrolipidic film. · Restores skin’s natural state of being. Vichy belongs to the Active Cosmetics Division of L’Oréal India, and is distributed exclusively via the pharmacy and drugstore channel in the country and worldwide. The brand is sold with the qualified advice of a pharmacist or dermocosmetic skincare advisor and with the support and recommendation of dermatologists. Research is at the heart of Vichy Laboratoires and L’Oréal Research ensures that Vichy is among the first to benefit from their very latest, state-of-the-art innovations in dermatological research.